Gables of the typical old houses in downtown Antwerp in front of a deep blue sky with some white clouds. 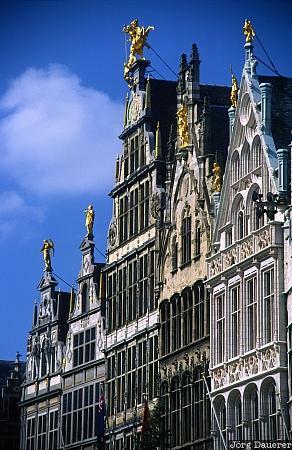 Antwerp is in Flanders in the north of Belgium. This Photo was taken in the afternoon of a sunny day in September of 1997.